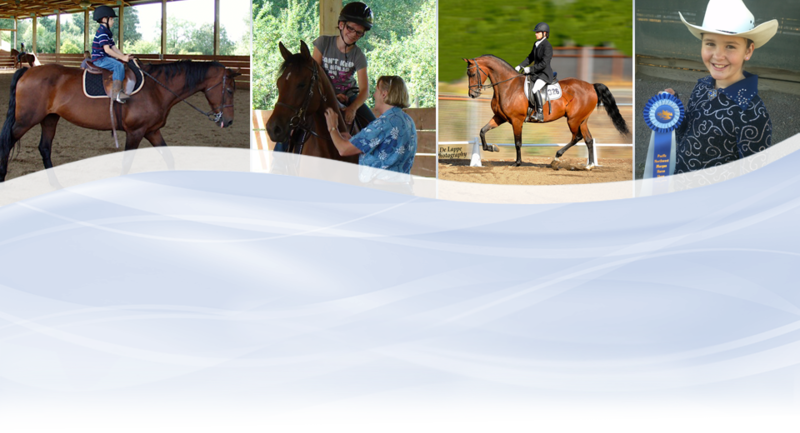 We offer the best multi-discipline school horse riding instruction program in the Arlington and Snohomish County Washington area! 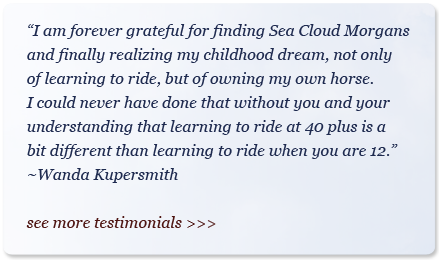 Catherine Cloud has been involved with the Morgan breed for over thirty five years and continues the winning tradition of Sea Cloud Morgans. Catherine specializes in riding lessons in all seats for every age and level of skill as well as Morgan training, shows and sales. 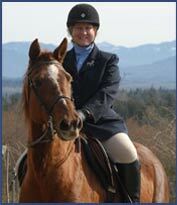 She has trained, shown and coached World Champion horses and riders. 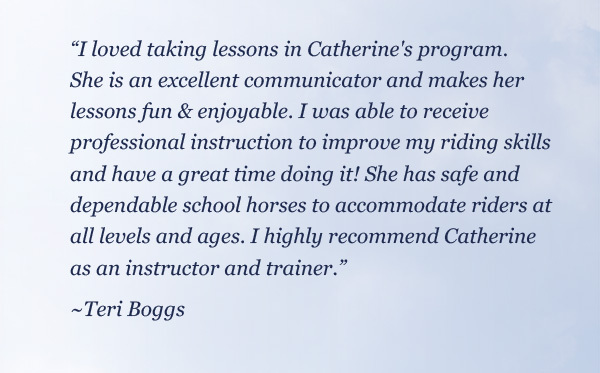 Catherine has introduced hundreds of people to the joy of riding while building confidence, character, determination and skill. Her training methods produce consistent, happy horses and well-rounded, self-reliant riders. 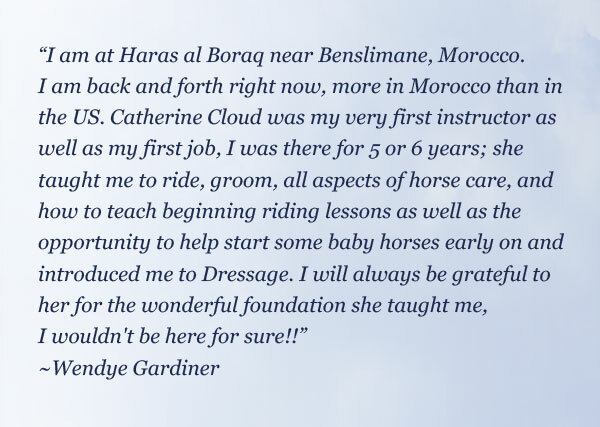 Many of Catherine’s students have gone on to enjoy horse ownership, trail riding and competition in a wide range of disciplines. Others have developed professional skills and pursue a living in the horse business. 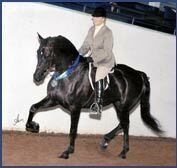 Our five show-quality Morgan school horses offer exceptional experience and opportunity. All levels from beginner to advanced are mounted on suitable, safe, sensible, stylish horses. Students can look forward to riding USEF show champion horses in local shows as part of their instruction. Catherine is happy to be teaching at Rustic Pines. Visit all areas of our website and please contact us for further information.